Only 10 minutes from downtown Blue Ridge, Georgia, mountains, animals and thousands of flowers adorn the landscape of Daffodil Hill Farm & Carriage. When you visit Daffodil Hill Farm, you take a step back in time. 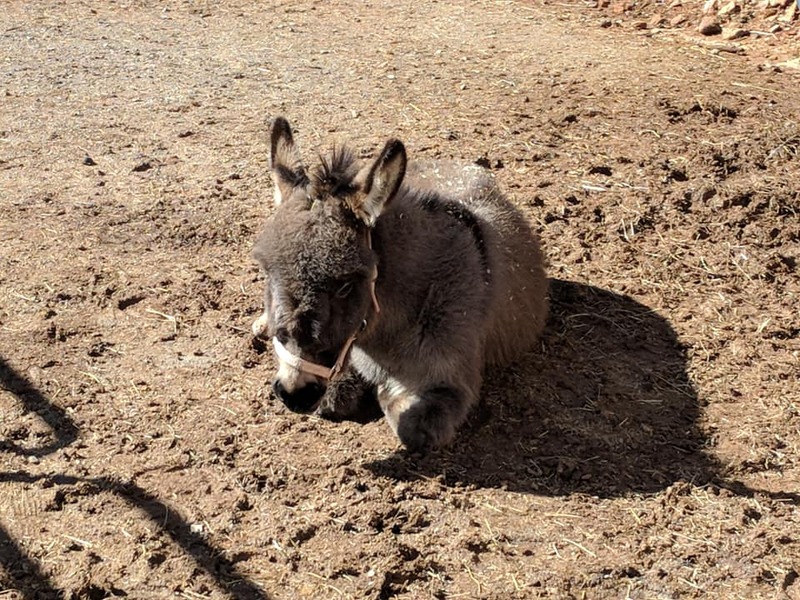 This 3-acre working mini farm features thousands of flowers, vegetable & herb gardens, fruit trees & berry bushes, plus an assortment of farm animals. 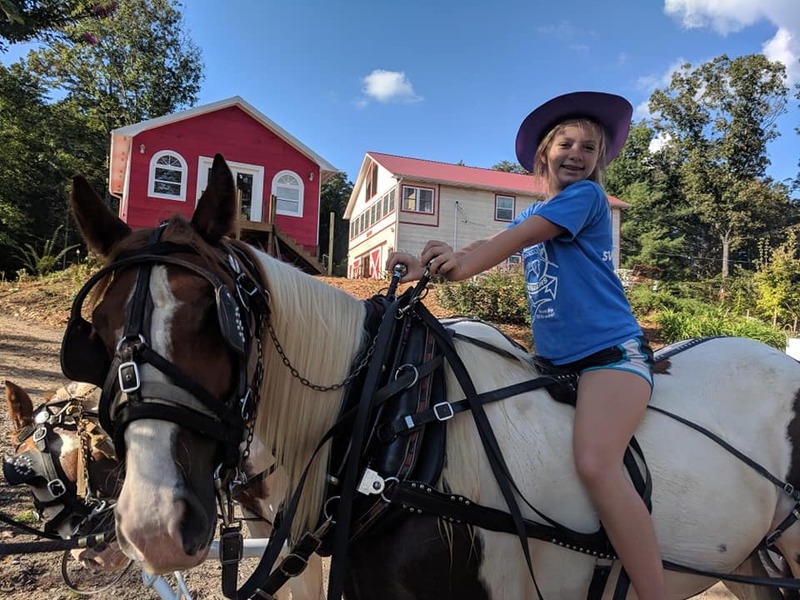 You can hold a fainting goat, brush a miniature donkey, pet the carriage horses (Moses & Aaron), feed the chickens and pheasants, and more. 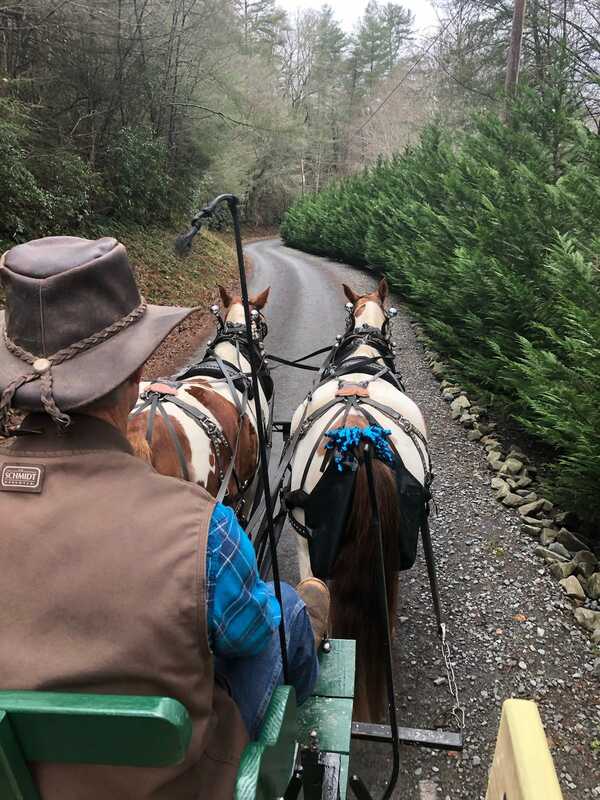 Top it all off with a picturesque carriage ride through the Blue Ridge Mountain countryside. It’s a perfect adventure for families & kids of all ages! 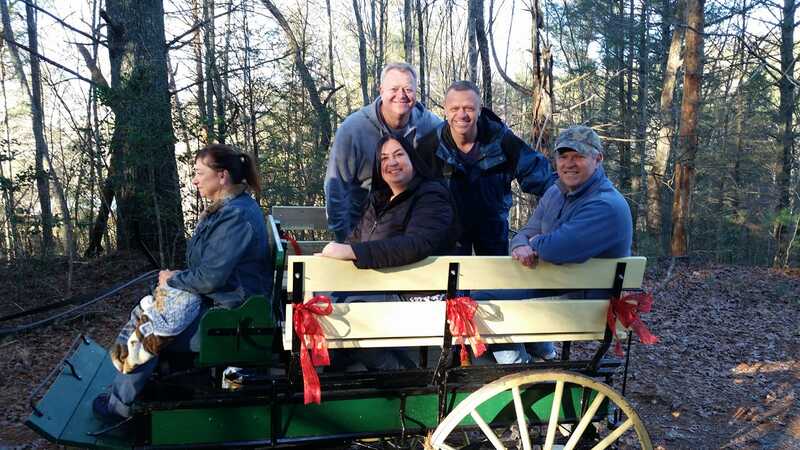 Romantic carriage rides are also available for all occasions — proposals, anniversaries, weddings and birthdays. 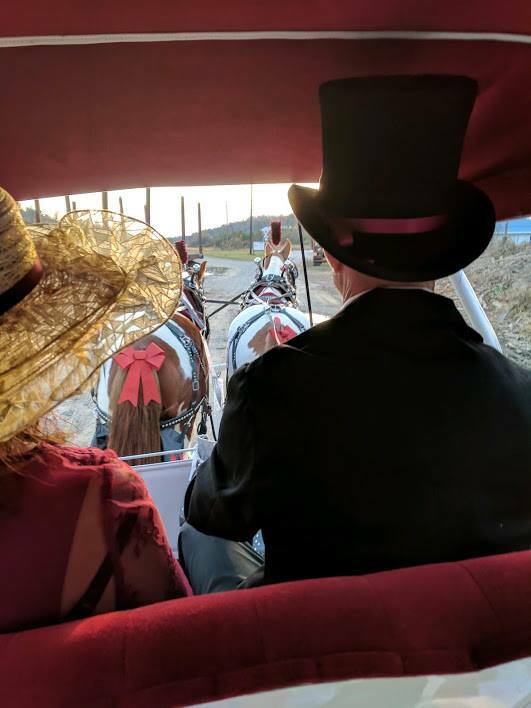 Or, you can reserve a horse & carriage service for a special event at an off-site location. 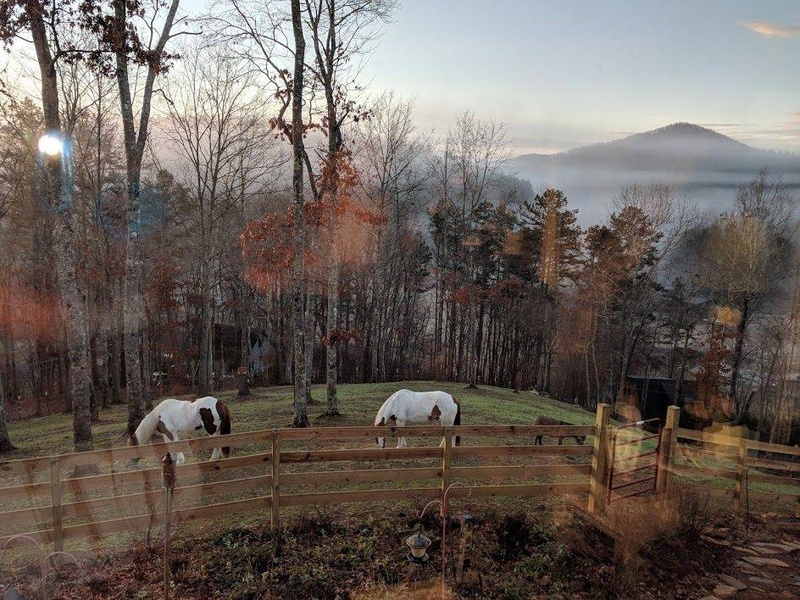 In addition to the farm, a one-of-a-kind experience awaits honeymooners (and those looking to rekindle their marriage!). The 2,300sf Real Carriage House Romantic Suite features 5-star luxury amenities. A beautiful, romantic, custom king size bed with exquisite linens, heated jacuzzi in bedroom, gourmet kitchen with endless supply of farm fresh eggs and all your favorite breakfast items await you to prepare! Enjoy the sun/moon room overlooking the mountains and chapel. Enjoy walking paths of flowers and waterfall and a bed of red roses shaped like a cross next to the Wedding Chapel. It’s a perfect location for a vow renewal ceremony or an intimate wedding, all inclusive with honeymoon suite and horse & carriage!